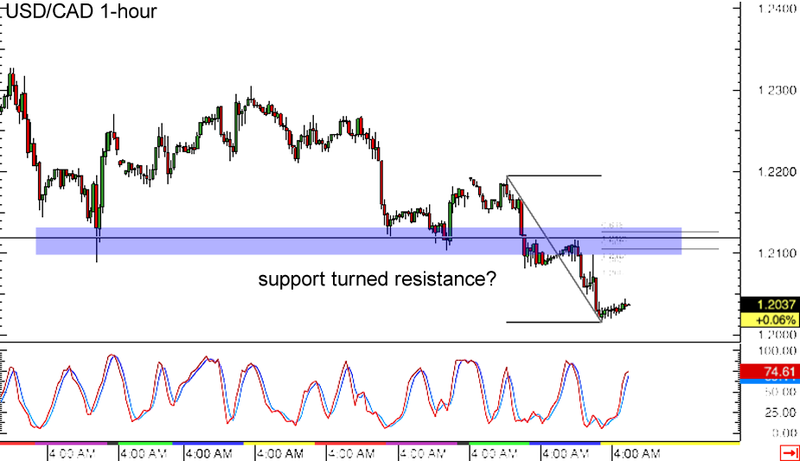 Let’s start off with a potential short-term pullback play on USD/CAD’s 1-hour forex chart. The pair recently broke below support around 1.2125 and tumbled by an additional 100 pips before taking a break. Stochastic is moving up for now, indicating that buyers are taking control of price action and might push USD/CAD higher. Using the Fibonacci retracement tool on the latest swing high and low shows that the 61.8% Fibonacci retracement level lines up with the broken support and may hold as resistance. Careful, Kiwi bulls! 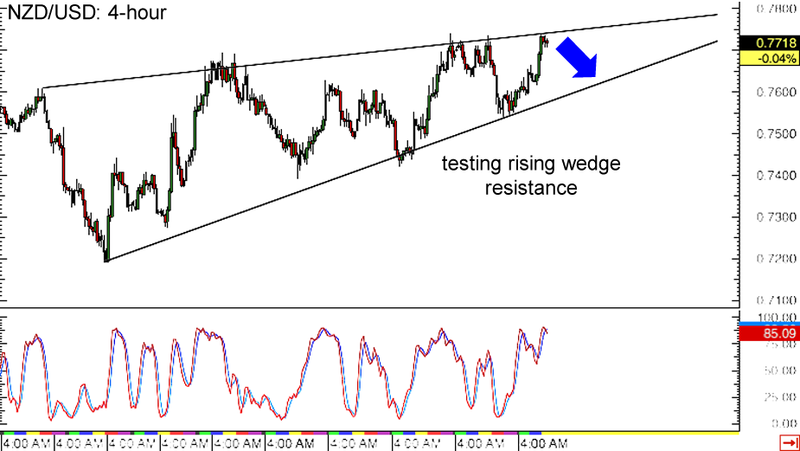 NZD/USD is currently hitting a ceiling at the top of the rising wedge visible on its 4-hour forex chart. At the same time, stochastic is indicating overbought conditions, which means that buyers are feeling exhausted and that sellers might take over. If that happens, the pair could head back to the wedge support around the .7600 to .7650 area. And if selling pressure is strong enough, a downside break might even take place and spur a longer-term selloff for the pair! Reversal alert! 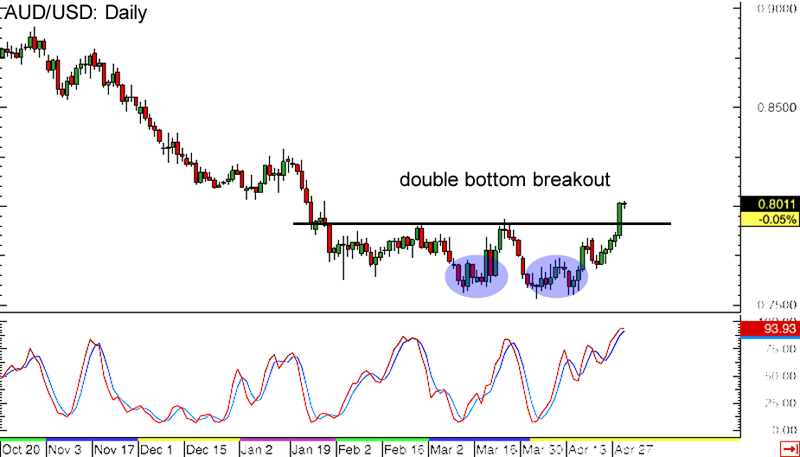 After forming a double bottom pattern on its daily forex chart, AUD/USD finally broke above the neckline resistance and confirmed that the long-term downtrend is about to turn. The pair could head north by an additional 300 to 350 pips, which is roughly the same height as the chart formation. However, stochastic has already reached the overbought zone, which means that Aussie bulls might take it easy from here. With that, a pullback to the broken neckline resistance might take place before AUD/USD resumes its climb.